New Delhi: State-run NMDC on Wednesday said it will sign an agreement with Russia’s Severstal by December to set up a three million tonnes per annum steel plant in Karnataka under a 50:50 joint venture. “By December, we will sign a JV agreement with Severstal of Russia to set up a 3 million tonnes (per annum) steel unit. It’ll be a 50:50 joint venture," NMDC chairman Rana Som told reporters here. However, Som did not provide details on the estimated investment involved in the project. In December 2010, the Navratna firm signed a Memorandum of Understanding (MoU) with Severstal for setting up a 5-MTPA steel plant in Karnataka. The joint venture between the Russian and Indian firms, the first such partnership between the two countries, would produce auto grade and electrical steel to meet the rising demand for specialised steel products in the country, Som had said previously. As per the MoU, the JV company would have two subsidiaries -- a captive coking coal mining subsidiary in Russia and an iron ore mining subsidiary in India -- to ensure long-term supply of the critical steel-making raw material to the proposed plant. Both NMDC and Severstal will hold a 50% stake in the joint venture and will appoint the senior management team. According to NMDC, the Karnataka government has already allotted 2,500 acres of land to the company for the project. The Karnataka plant will be NMDC’s second steel unit in India. It has already started work on a 3-MTPA project in Chhattisgarh at an estimated investment of about ₹ 15,000 crore. 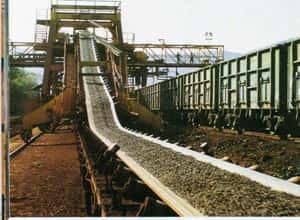 At present, the Navratna firm produces about 30 MTPA of iron ore from four fully mechanised mines in Chhattisgarh and Karnataka. Shares of NMDC were being traded at ₹ 227.70 apiece on the Bombay Stock Exchange at 1420 hours on Wednesday, up 1.13% from their previous c1ose.